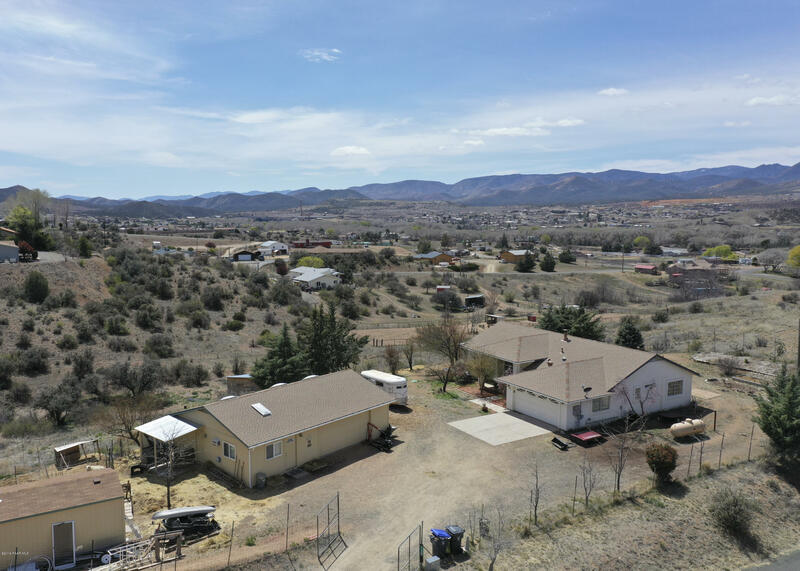 Views, location and land! 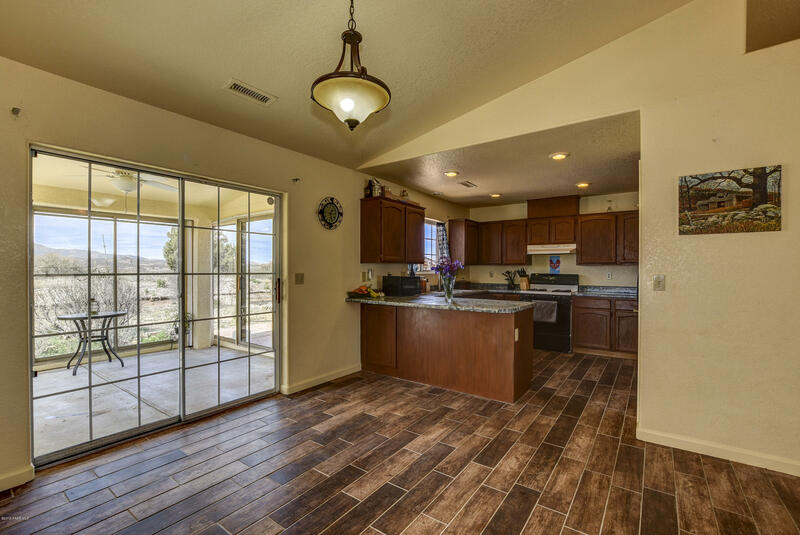 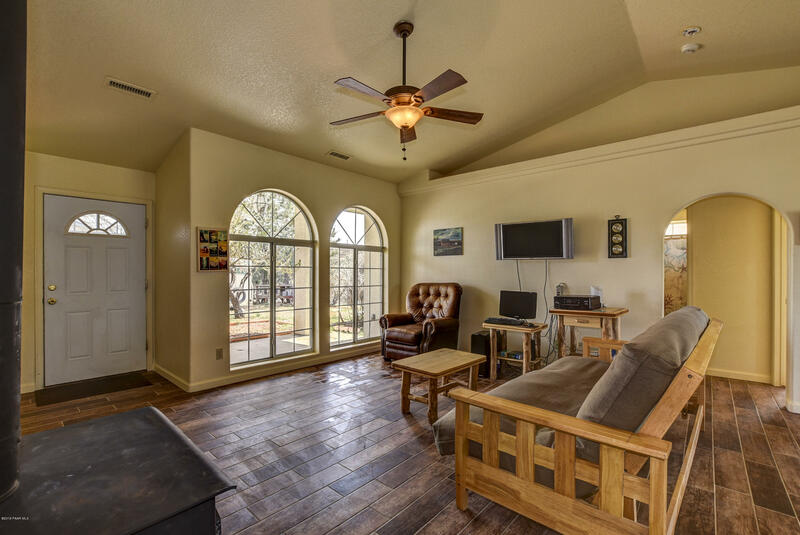 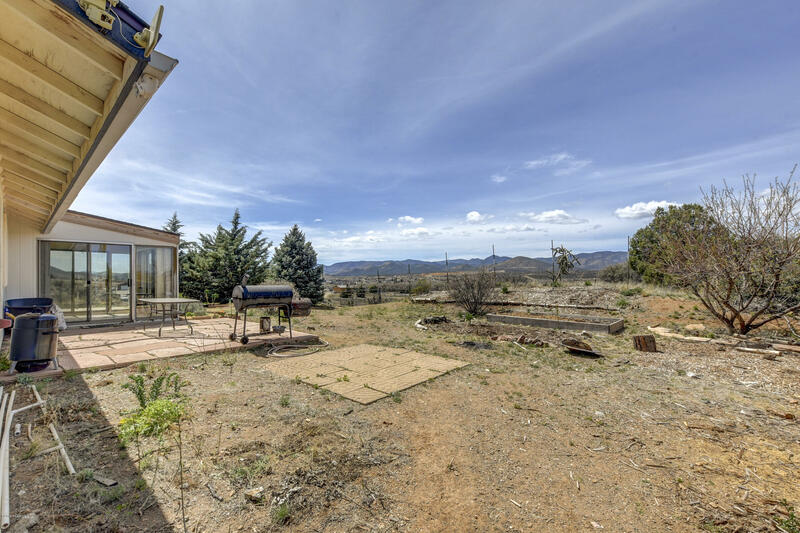 Enjoy stunning views from every room in this custom hilltop home on over 2 acres! 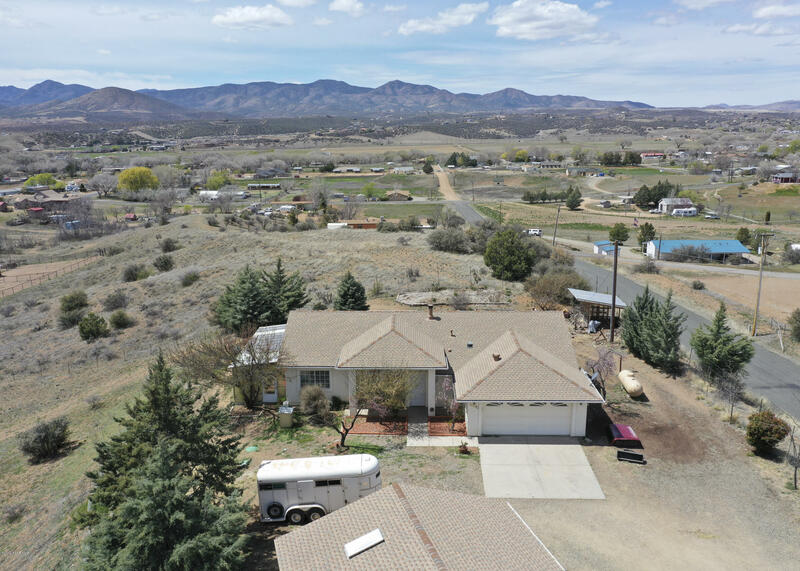 Animals, gardening, homesteading, RV parking and bring all the off road toys to use on your land or State land just a few streets away. 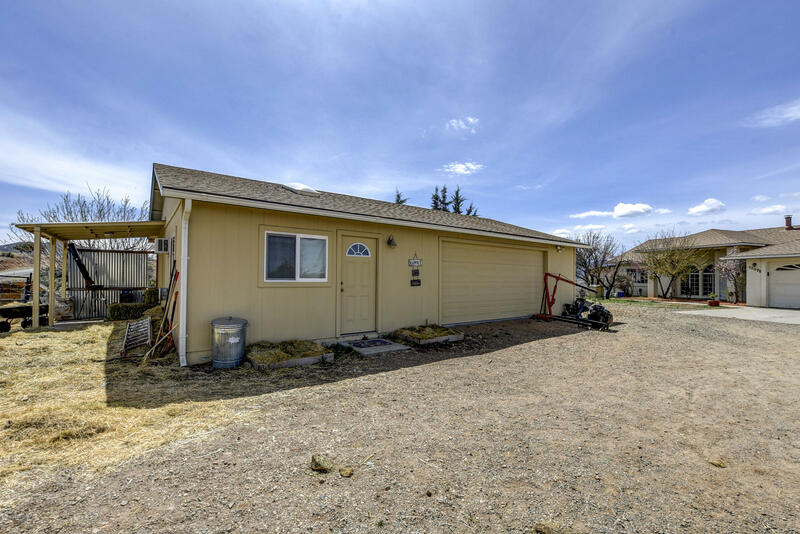 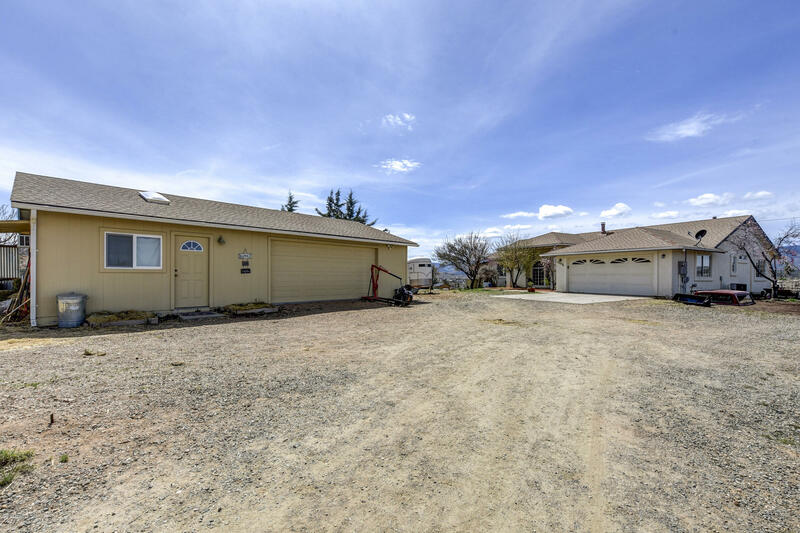 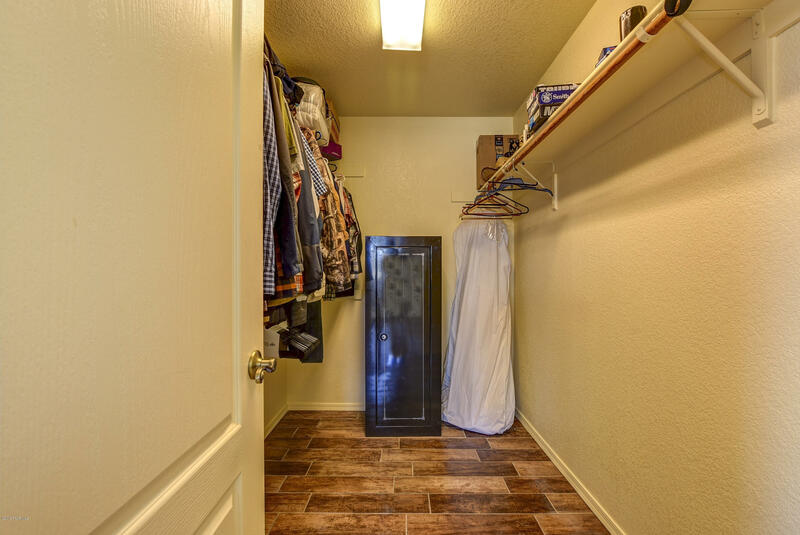 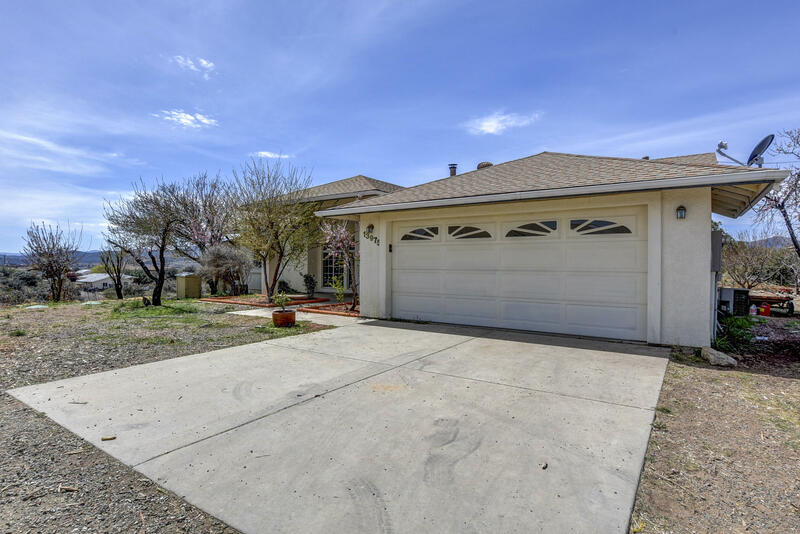 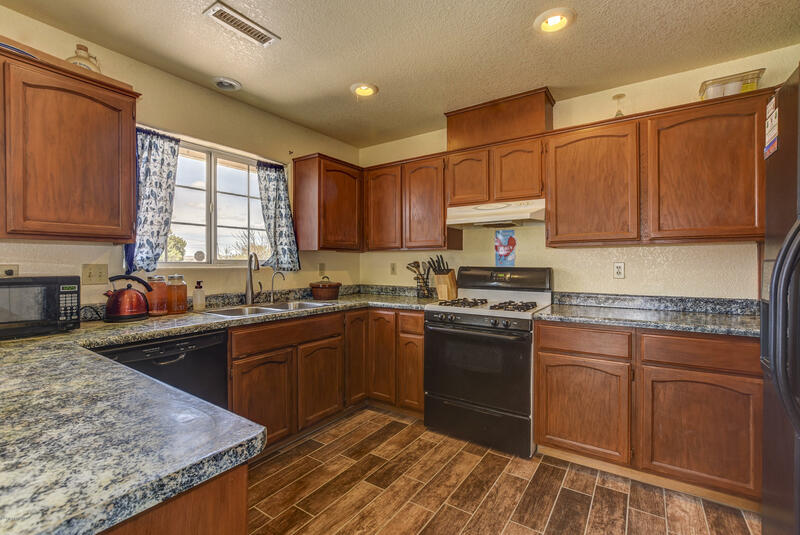 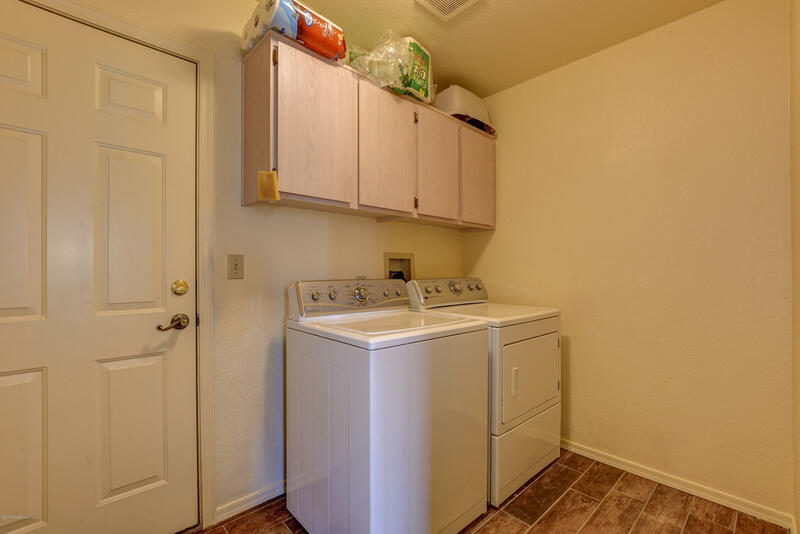 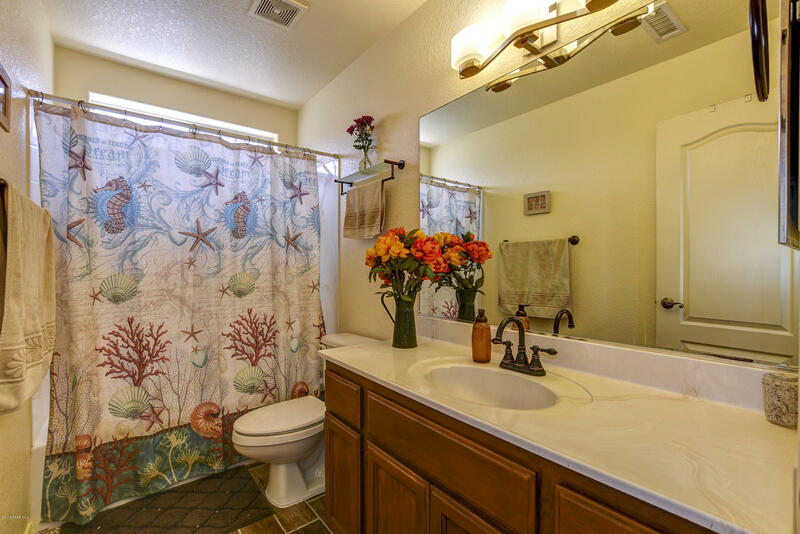 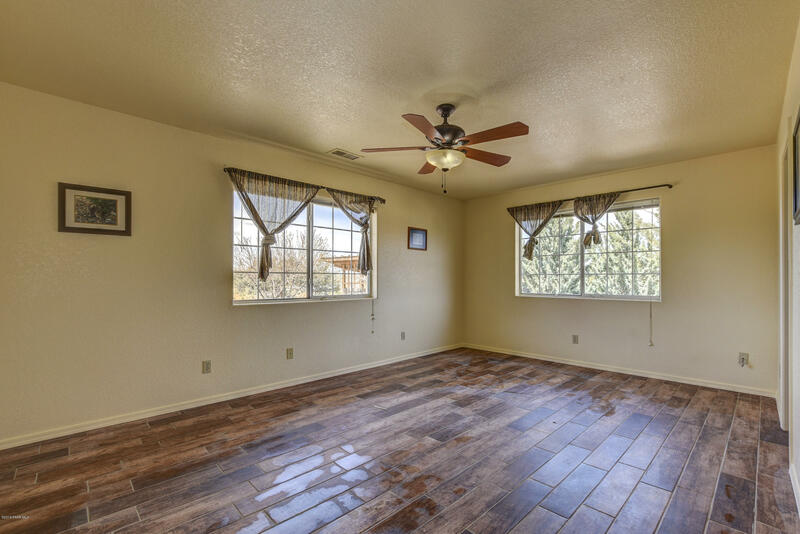 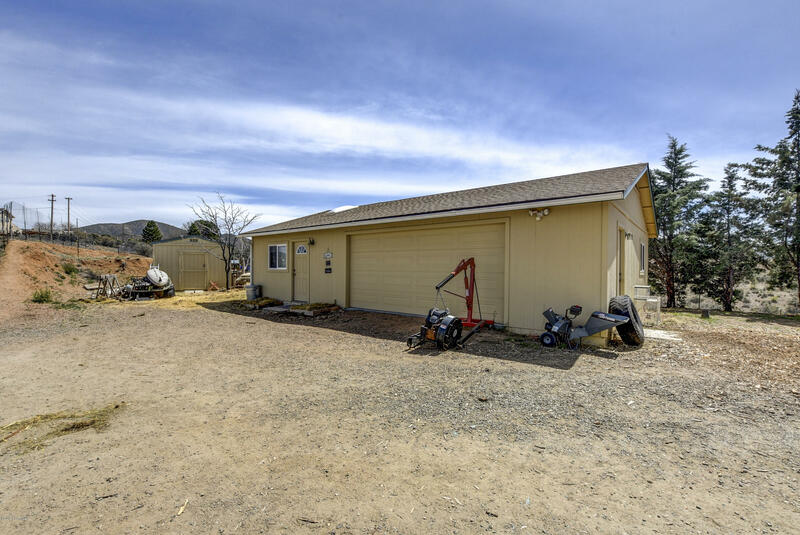 In addition to the three bedroom Main House, the Studio/Garage/Workshop with half bath, AC and utility sink offers extra room for guests, hobbies, storage, etc...the opportunities are endless! 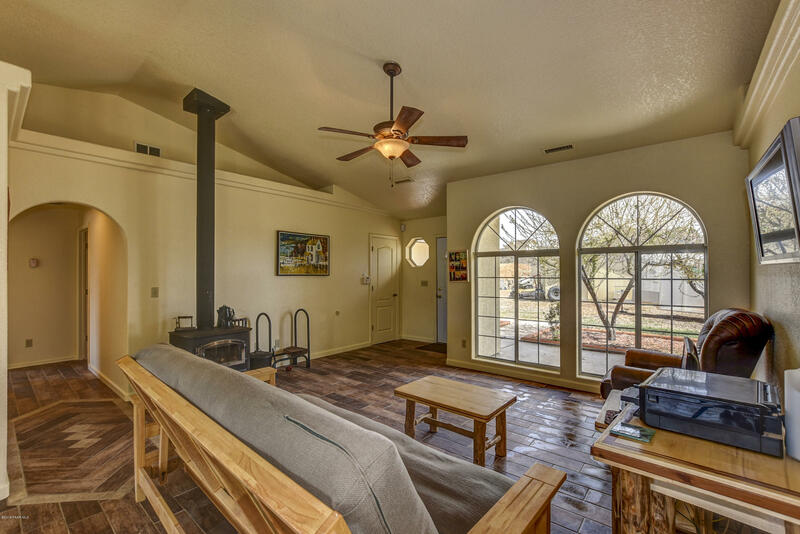 Keep warm and cozy in the winter with a wood burning stove. 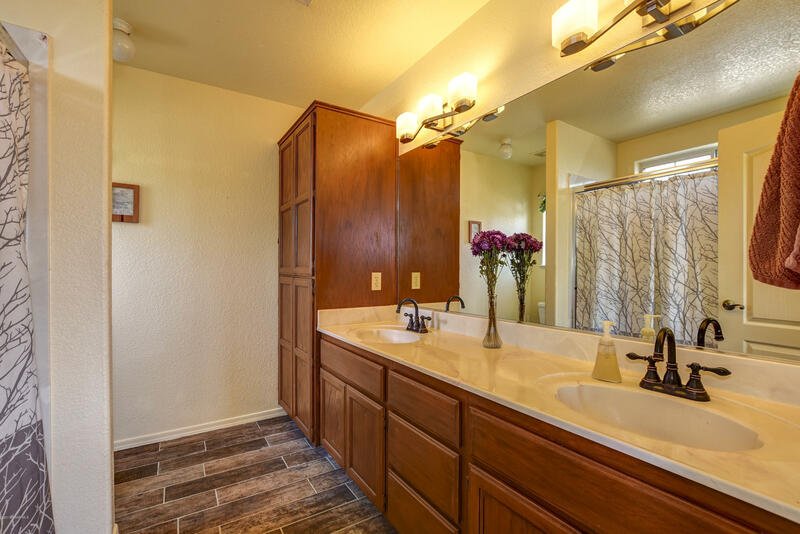 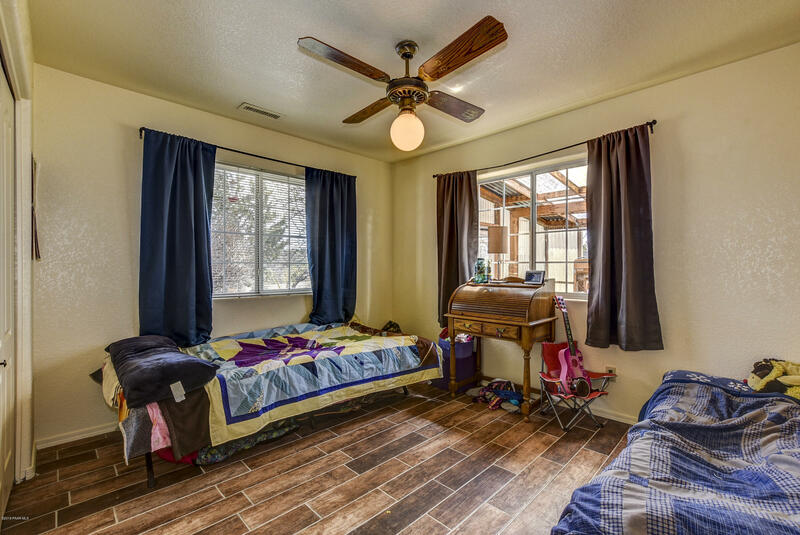 Gorgeous new wood-look tile, newer roof and a great producing well. 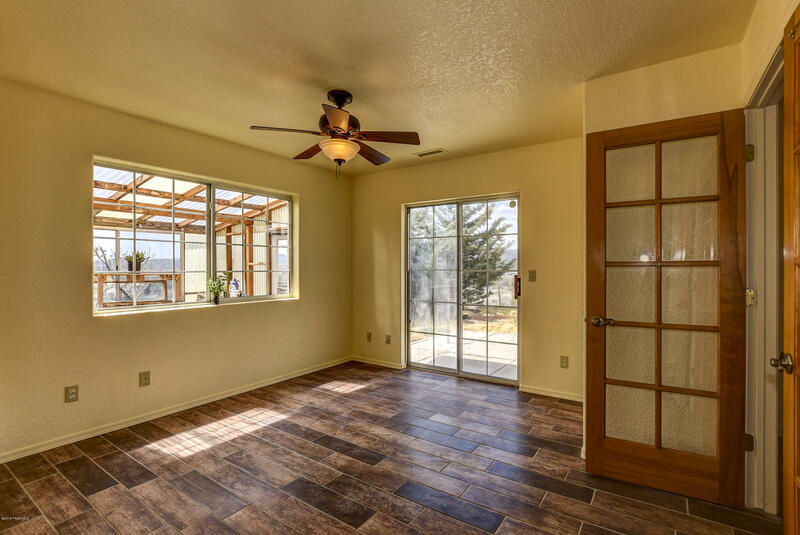 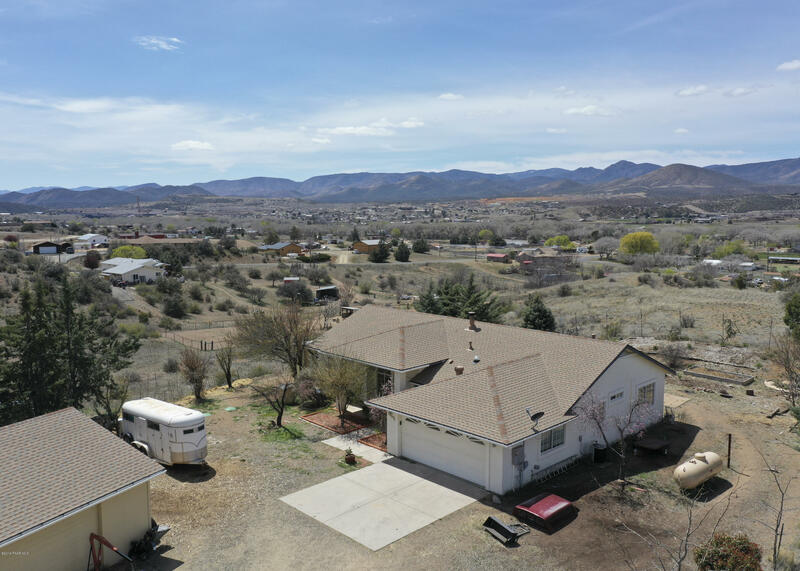 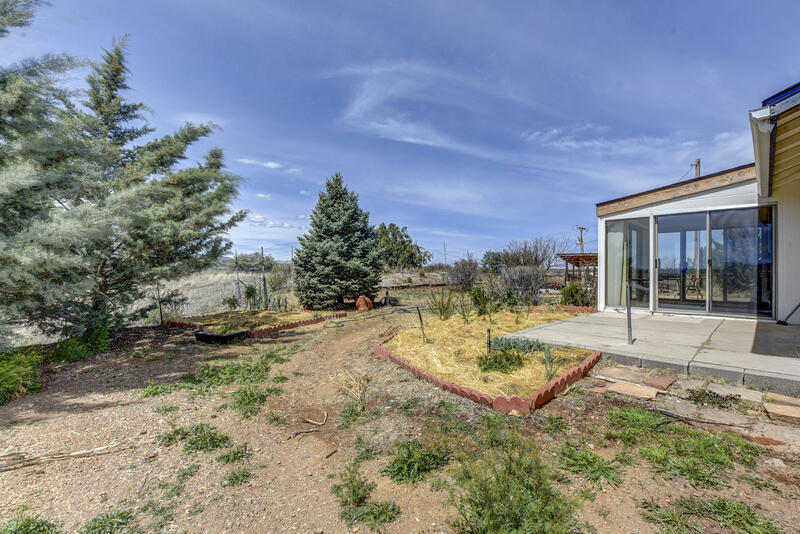 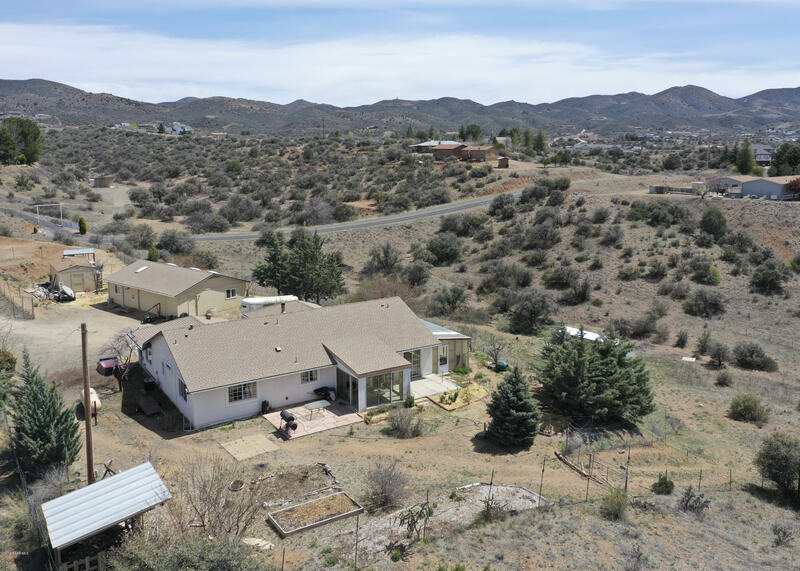 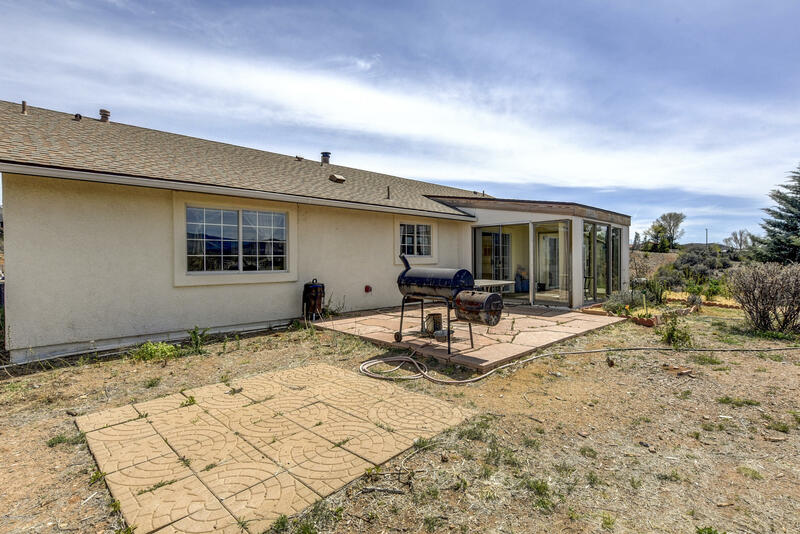 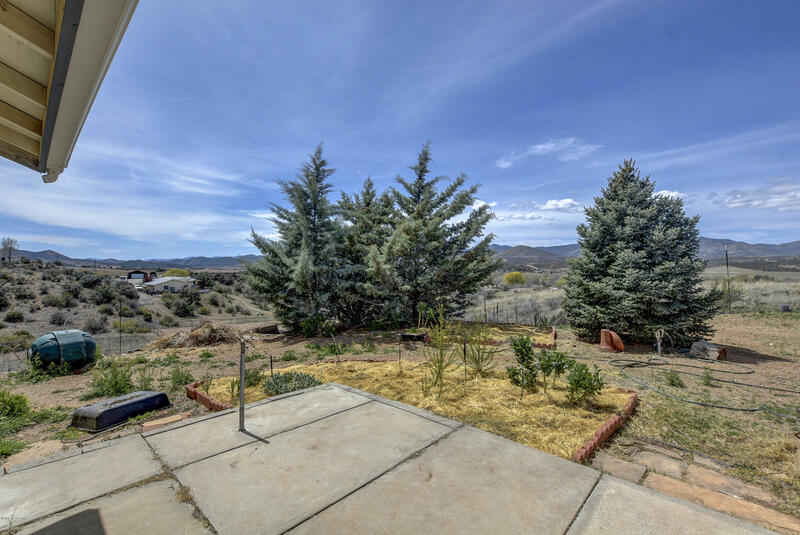 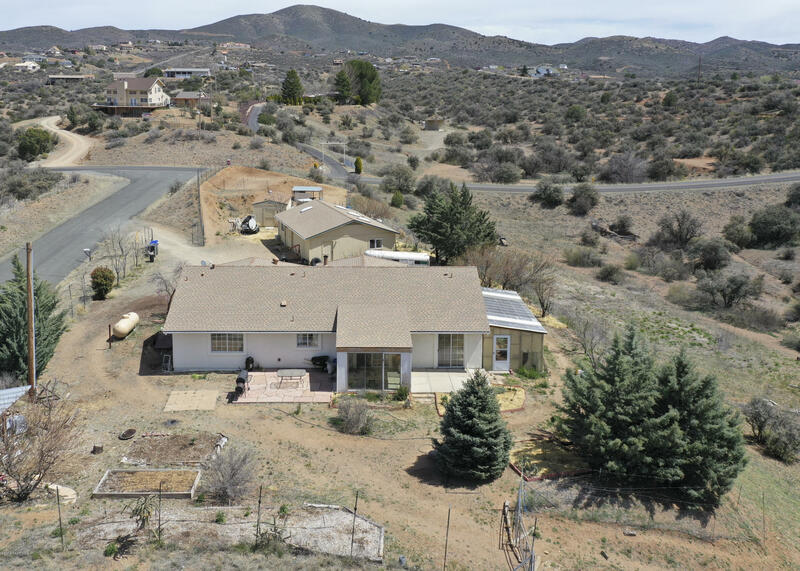 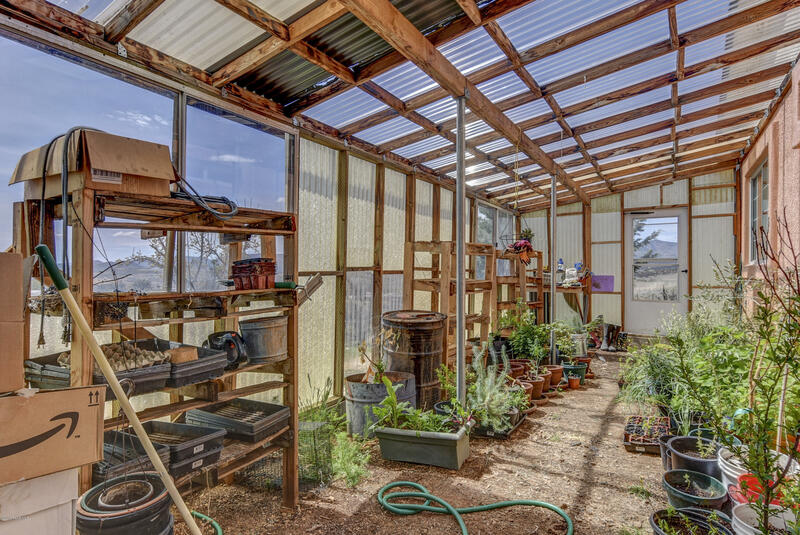 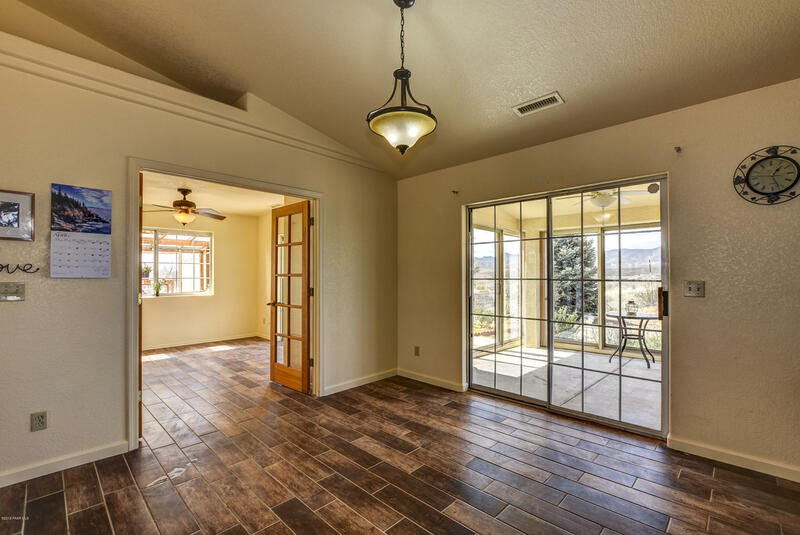 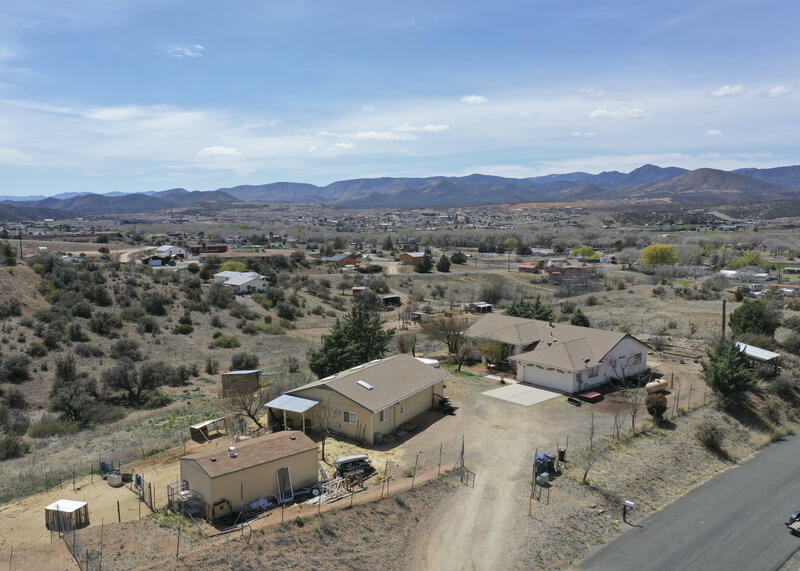 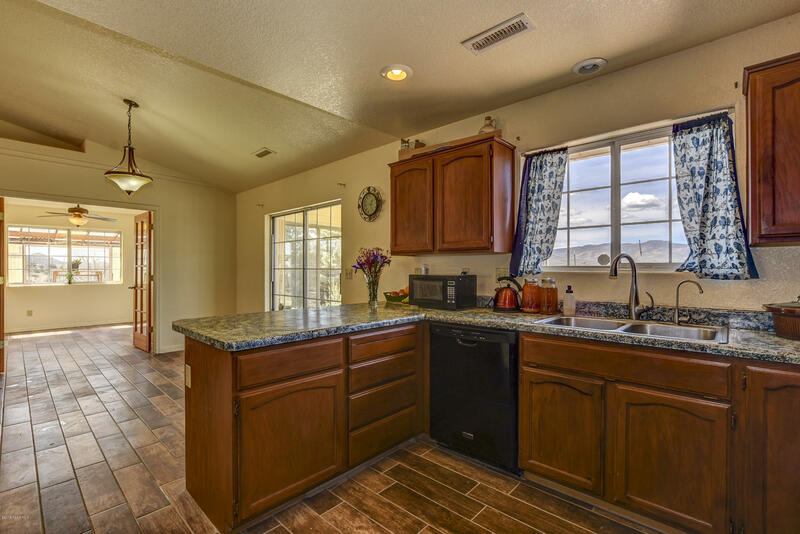 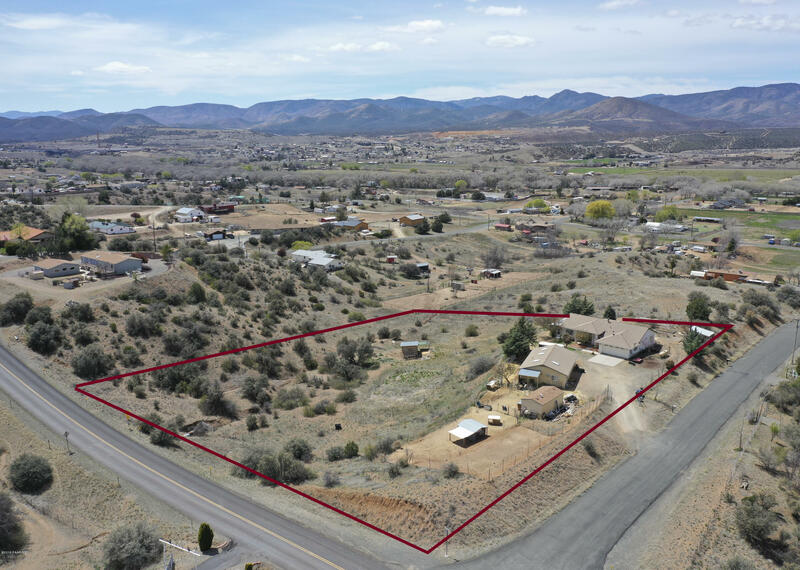 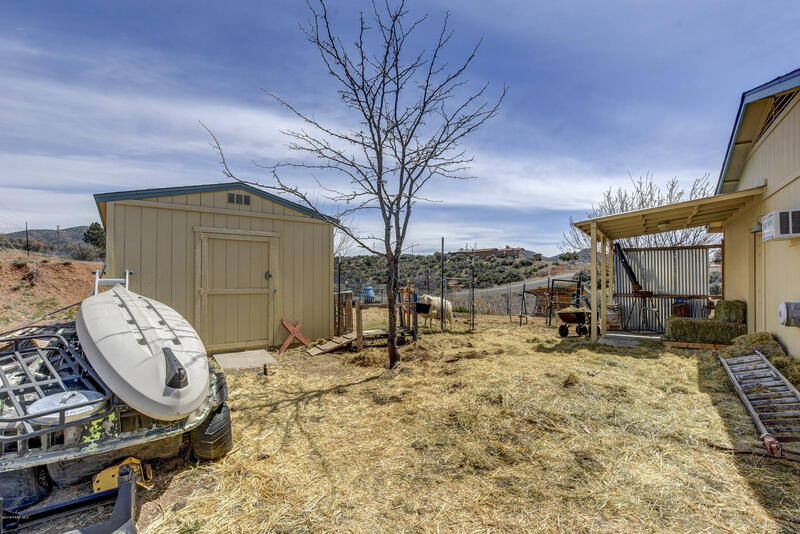 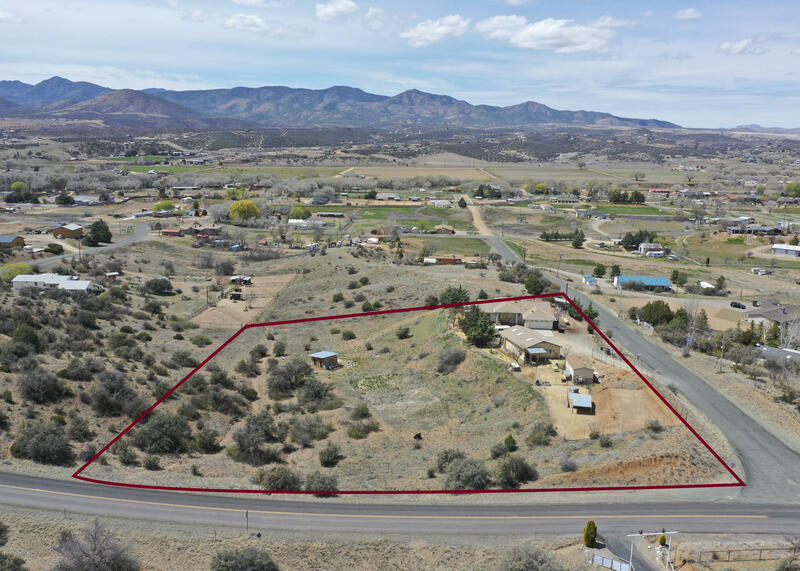 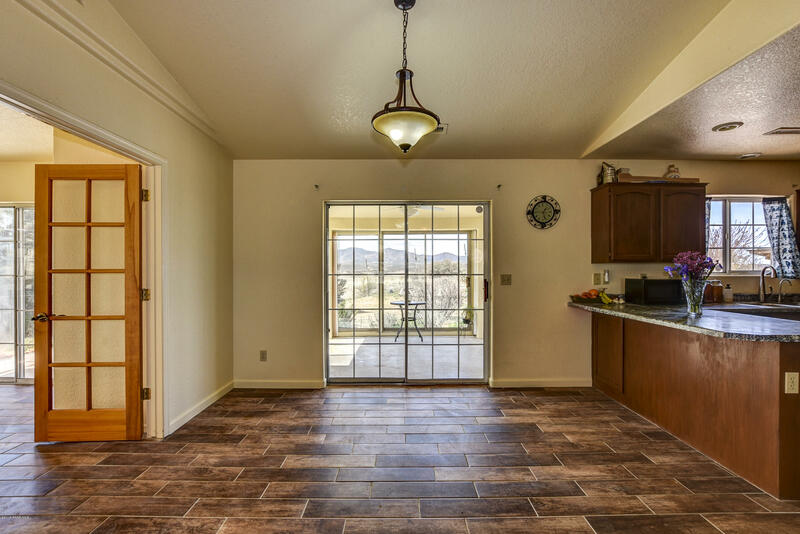 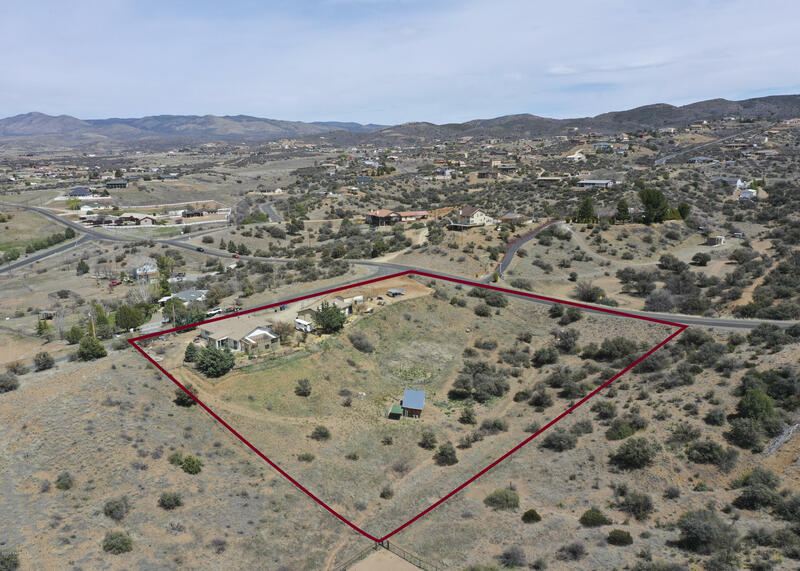 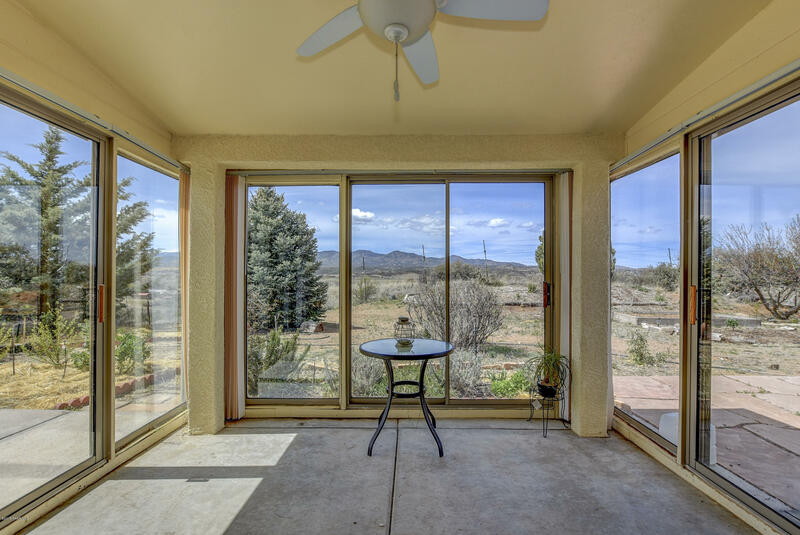 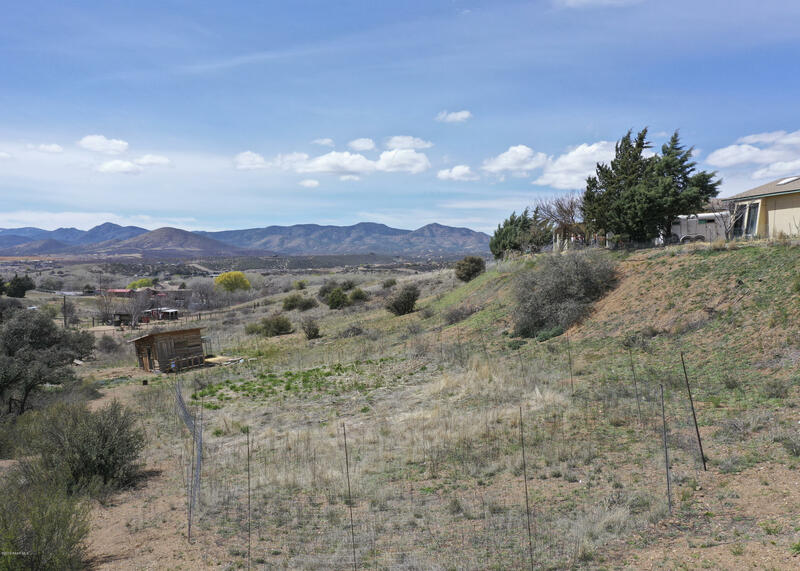 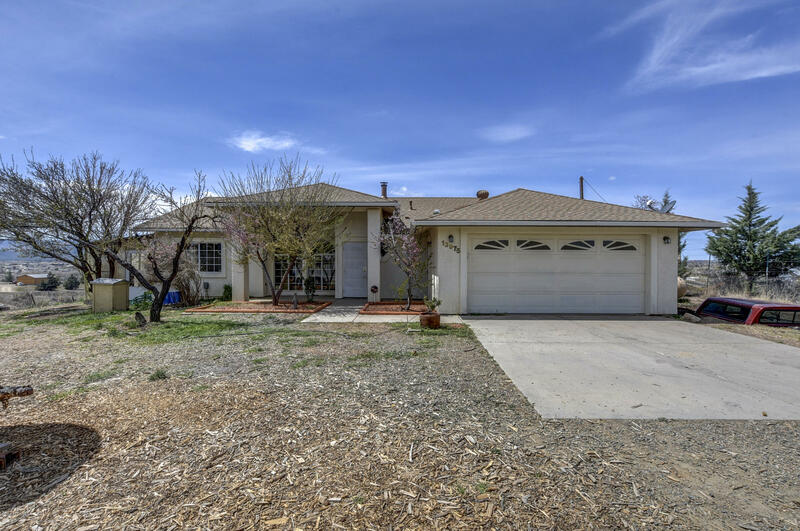 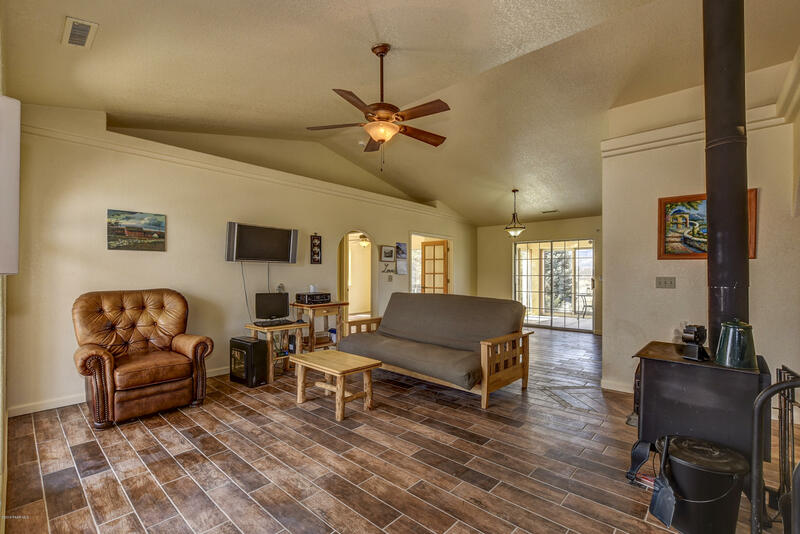 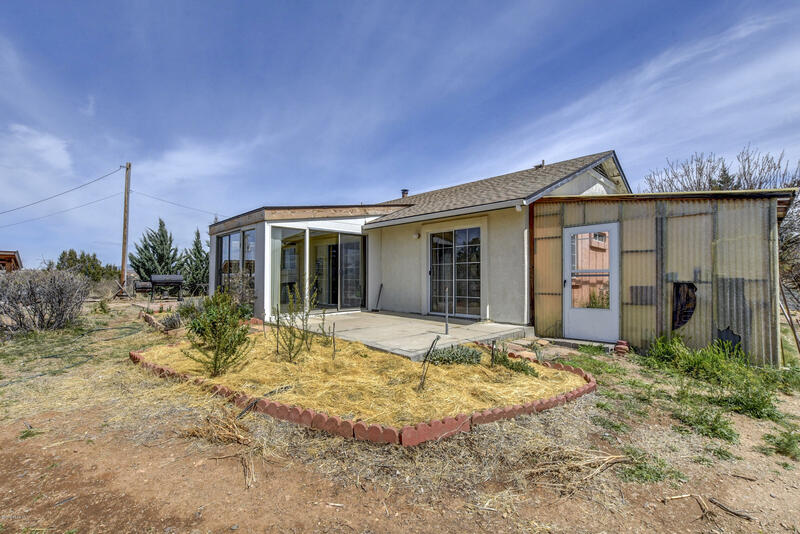 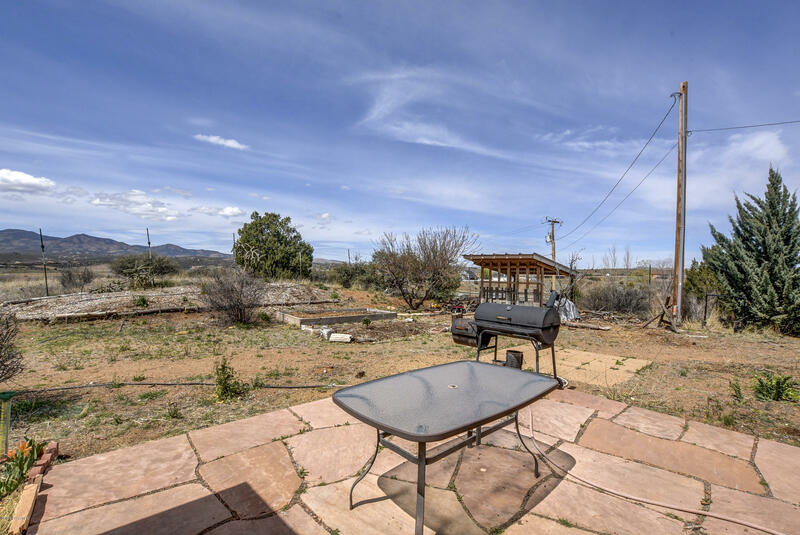 This is a one of a kind home, with the extra studio/garage/workshop, Arizona room, shed and a greenhouse on a large, fenced lot in the desirable Foothills.